"Bozho - Hello my name is Aaron E. Camacho. I am hoping this message reaches you well while we are amidst International Women’s Day, World Water Day and Earth Day. Wisconsin has a special connection to Earth Day as our former governor, Gaylord Nelson in 1970, inspired it. Personally, I am grateful for the legacy Wisconsin has created since its founding. However, I see a responsibility and the resolve required to maintain that legacy for generations to come. That responsibility has been the catalyst in my decision to run for State Senate in District 31 as a Green Party candidate in the November 2018 elections. Currently Wisconsin is at a tipping point, a fork in the road. We must decide what we value and draw the line in the sand. Will Wisconsin choose people, the planet, and peace over profits or another path? My hope is that we choose the former. With that hope I can see the fall elections coming into view. When it comes to the ballot box, I feel it is important for Wisconsinites to know and understand the person they may vote for. So, please allow me to share a bit about myself with you. From the Town of Cross, just outside Fountain City, my partner and I are blessed to live in a rural area not far from the tallest bluffs along the Mississippi River. With such natural beauty, resources, farmland, nearby urban areas and a strong sense of community it wasn't a hard choice to move here in 2012. We returned to the area where our family has roots within Nations indigenous to the region and the area of our homestead where our family thrived five generations ago. Following in our family's footsteps, we have come full circle calling this unique area of our state home. Being of a multicultural family, I embrace my diversity utilizing my experience to bring a unique perspective to the table. My background exposes me to cultures and has deepened my understanding of history. As a result, recognizing how my communities intersect and parallel is a consistent practice of mine. This allows me to see that our communities have far more in common than in differences. Regarding my background, I spent a majority of my youth in Janesville, WI where I was taught several lessons in community, friendship, self-determination and the importance of an equitable education. After graduating I entered the workforce. My work experience began by entering the food industry. Income needs led me to customer service within collections as well as working as an R.A. within smaller group homes. Later, I moved into management positions within the retail industry further realizing my love for our state's natural beauty after working for an outdoor outfitter. Knowing how beautifully diverse our State and communities are, I also saw areas of opportunity. In 2013, I decided to further my education and will be a graduate of Winona State University in the discipline of legal studies. My goal is to utilize this knowledge and life experience to serve my communities in an equitable way striving for a healthy, sustainable society for generations to come. Community, participation and accountability are aspects of life that I value. I love the outdoors, my family and our two dogs. Also, there is nothing like spending an evening by the Mississippi or on lakes in our beautiful state. Love for these aspects of life and beyond has led me to engage in equitable as well as mutually beneficial relationships encouraging the practice of sustainable conscious communities. 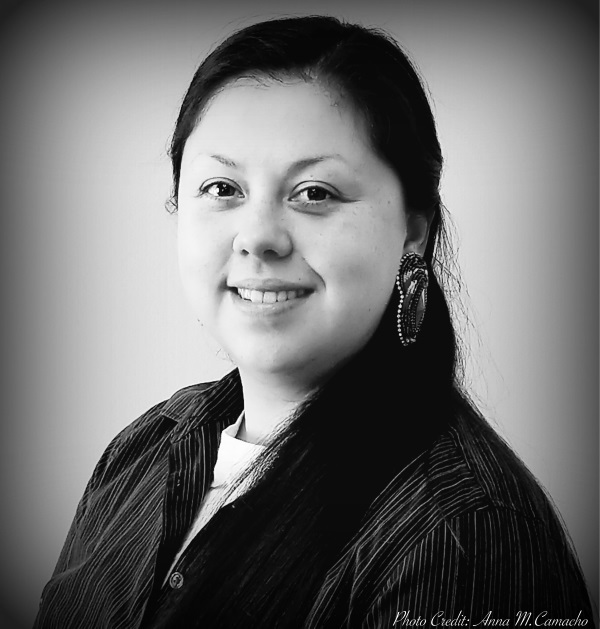 In recognizing my responsibility to serve, I have taken on the role of former president and current director at the Winona-Dakota Unity Alliance a local non-profit organization. At Winona State I previously served on Student Senate and currently I sit as an Associate Senator. Also, I am a founder of Turtle Island Student Organization and the Indigenous Learning Garden Initiative at Winona State University. Currently, I am an intern for the Winona Human Rights Commission. These experiences have provided invaluable lessons. Through recognition of this work I have been the recipient of the Winona State University President's Civic Engagement Award, Equity Recognition Award and the Minnesota Campus Compact President's Student Leadership Award. Also, I accepted the John Latsch Human Rights Award on behalf of the Winona-Dakota Unity Alliance as president of that organization. As I remain grateful for these honors, I recognize the responsibility of continuing on; there is still work to be done. Connecting with our community's history, our neighbors and surrounding towns has strengthened the drive within me - that inner fire. This drive is for sustaining our environment, education and healthy communities. Also, it is for respecting American Indian rights, maintaining access to our local and state governments, as well as supporting Wisconsin's rich heritage of family farms. Building a future with a foundation of diverse relations throughout the region brings promise for tomorrow. Along with that, I firmly think that it is necessary to loosen the grip of the perceived two party system in order allow our citizens access to equitable choices in representation. Doing so requires that our votes go toward candidates who will stand for the People. Candidates must overcome socioeconomic realties, often succumbing to influence through gifts and monetary donations by corporate donors. We need to address issues of corporate money within politics that stifle our citizen’s calls for informed decisions in reaching equitable outcomes and beyond. We need to take the power of the People back and place it in the hands of the everyday citizen. Because of that, along with other realities in our state I have decided to run for office this year. In the coming fall 2018 election, I humbly ask for your vote in my run for Wisconsin State Senate here in District 31as a Green Party candidate. Wisconsin has the opportunity to impact its legislature in just a few short months. In some way, we all identify with our state’s rich and ever growing heritage. With today’s global economy, present times can challenge our heritage on various fronts. We know that Wisconsinites are innovative though! Despite challenges we may see for our communities on the horizon our voices can impact proactive measures, response as well as our ability to overcome. Remember, our voices are heard clearly by our government in each of our votes that reach the ballot box. As I campaign and if given opportunity to serve in Wisconsin State legislature, know I am an ordinary citizen that cannot be bought by corporate interests. Since many have asked, yes individual’s donations to my campaign are appreciated. Know I acknowledge what it means to work hard for every dollar coming from a modest economic background, as many Wisconsinites do. In acknowledging this, the days for hundreds of thousand dollar political campaigns must come to an end. Corporate donations given to candidates who vote against our citizen’s vitality would be better served invested in our children, health and sustainable practices within our communities. Let’s invest in our future, not corporate interests. Corporate voices should never be louder than Wisconsinite voices in the ears of our elected politicians. Do you identify with these perspectives? Then please, consider me as your candidate for Wisconsin State Senate District 31. If you have thoughts, questions, or concerns feel free to reach out. I welcome respectful conversations and look forward to them. You can contact me through my website at https://www.camachoforwistatesenate.com where you will find more information including my email and social media links. Also, do not forget spring elections are coming up. Mark your calendar for April 3, 2018 and be sure to get out the vote! Jage Nagonan – All My Relations. Lastly, thank you for the opportunity to share this news with the public here in WI. It is greatly appreciated. Take care!